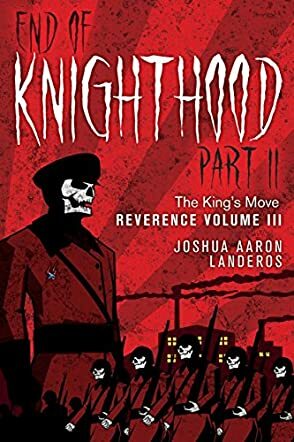 End of Knighthood Part II: The King’s Move is the third installment in Joshua Aaron Landeros’s Reverence series. Once upon a time, William Marconi, a cyborg good at killing his foes, had been part of the United Nation Republic’s Super Soldier Forces. That time is long gone. Marconi tags along with the Crimson Angels now. Members of this resistance group include siblings Jacob and Gabriella Neeson, the offspring of the now deceased and former head scientist of the UNR, and Captain Joseph Halsey, their leader. The commander of the UNR, the Chancellor, is planning something big for a number of beloved activists. As the Crimson Angels move towards Rock City Salvage Station, a place heavily occupied by the UNR’s finest, a superior batch of soldiers awaits their arrival. Aptly nicknamed the Wolf, William Marconi is a deadly one-man killing machine of a lead character, but you won’t know what I mean until you’ve tasted Landeros’s elaborate action scenes featuring this hero for yourself. The Chancellor is one of those antagonists that are so much bigger than the roles they play. Marisol Leone, also a cyborg, always remained enjoyable to follow. William is presented with an obstacle by an important character he comes into contact with, which could very well complicate things with the Crimson Angels, but gives his cyborg what he truly longs for: direction. 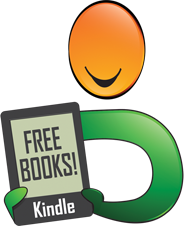 Recalling all the shots fired by advanced weaponry, fighting cyborgs, and aerial combat scenes, I can call this book nothing less than a thrilling action novel, lauded in letters set ablaze.